For families in transition, divorce often leaves one of the former spouses seeking a new place to live. It may also mean the task of buying-out their ex-spouse’s interest if they would like to remain in their current home and that home is jointly owned. If you find yourself unemployed or underemployed but receive alimony, you can use the alimony to qualify for a mortgage. Divorce Decree or other legal document that clearly specifies the amount of support, how long that support will last, and when payment is due. Continuance of support for at least 3 years from the date of closing on your new home purchase or refinance. Verification that alimony has been received on a timely basis.Prior to closing on your new purchase or refinance, your lender will require verification that you deposited the scheduled alimony payment each month. For a conventional mortgage, the standard requirement is 6 months. That is, you must show verification that you received 6 monthly alimony checks for at least 6 months leading up to the closing of your new mortgage. For an FHA loan, a 12 month verification period is required. It is important to show consistency. 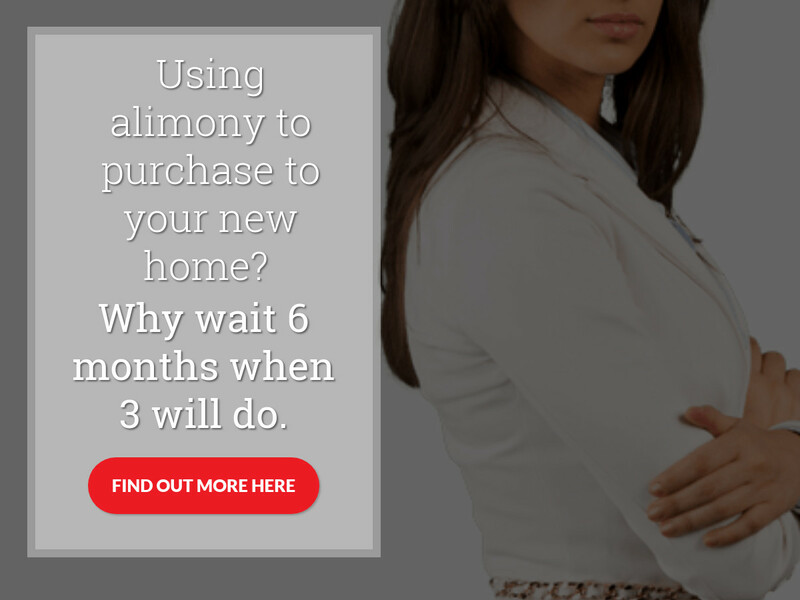 Advise your former spouse to pay the exact amount required each month leading up to your purchase or refinance. In other words, don’t agree to accept an alimony check for less one month regardless of the reason. Speak with an American United Lending Representative as early in the separation or mediation process as possible. That way, you can make sure your written documents and income stream will support your future home buying or refinance plans.